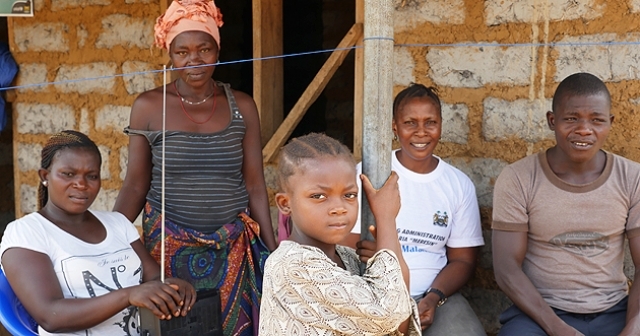 Freetown, Sierra Leone – 17 August 2015: Use of rapid response teams and strong community involvement in finding Ebola virus disease cases and contacts is yielding results in Sierra Leone. An epidemiological week has now passed with no new Ebola cases for the first time since the beginning of the outbreak. “This is very good news but we have to keep doing this intensively-working with communities to identify potentially new cases early and rapidly stop any Ebola virus transmission” said Dr Anders Nordstrom, WHO Representative in Sierra Leone. The Ebola response has moved to ‘phase 3’, focusing on tracking each and every chain of Ebola virus transmission and close down the remaining chains as quickly as possible. Sierra Leone is now down to a single chain of transmission, which started in Freetown but sparked a cluster of cases in Tonkolili, in the northern region of the country. Effectively tracking chains of transmission means finding every person who has been in contact with someone proven to be infected with Ebola, monitoring them closely for symptoms for 21 days and rapidly moving them to a treatment centre if they develop symptom of potential Ebola. Tonkolili had not seen a case of Ebola virus disease for more than 150 days, but the lessons learned during their outbreak in December 2014 had not been forgotten. The government, WHO and other UN and international partners sent a rapid response team into the district and worked with the village chief and village taskforce to identify and monitor everyone who had been in contact with the young man. Last Friday, 595 people ‘graduated’ from quarantine in Tonkolili. This included patients, pregnant women, nurses, doctors and other staff who were released early on Friday morning from the hospital where they had been confined for 21 days. Later the same day, a formal ceremony was held at Massessehbeh during which the President of Sierra Leone formally cut the quarantine tape.